As an author you may not realize the necessity of keywords. You may feel they’re something a marketer or affiliate marketer needs to be aware of. It’s their area of business and their problem to find these mysterious words that help increase the ranking on search engines. But, that’s not really the case, not by a long shot. Authors and book marketing go hand-in-hand. This area of online marketing is like any other and needs to use the same strategies to be effective. One of the basic strategies used to get noticed is writing or providing content – this is considered article marketing. I’m sure you’ve read or heard a hundred times that “content is king.” It is absolutely true. Imagine being a spec in the sky . . . so tiny and far away that you are invisible to the human eye. Well, that’s you in the internet universe. So, how do you get a flickering light going and build it into a steady strong beam? 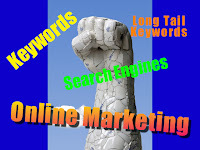 For this article I plugged in the word “keywords” at freekeywords.wordtraker.com (a free tool). The number one phrase for this keyword is “keyword research,” number two is “keyword analysis,” and number three is “keyword.” I really didn’t have to do a search to realize the word “keyword” would be there, I didn’t know, however, that “research” would be part of the number one phrase. 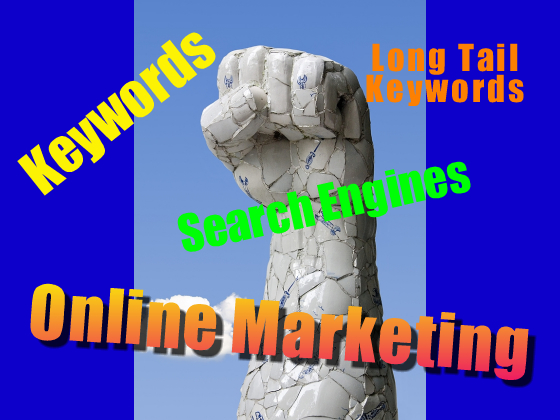 Knowing the number one keyword phrase provides valuable information; this also means it is a highly competitive keyword. P.S. If you haven't yet, please sign-up for The Writing World newsletter (top right sidebar). Keywords are one reason you see so many subtitles getting longer these days! And I advise my clients (and readers) to include a second keyword-laden subtitle on the back cover of the book, too. Aren't keywords wonderful! Great tip, Carolyn. Subtitles are another effective tool to get more juice out of titles. As always Karen, great advice, particularly about how valuable keywords are. Thanks! Maggie, Glad you found the post helpful! Great advice. I think making sure you tell readers why what you are offering is what they need is something often over-looked by authors. Mary Jo, that's the trick, making the offer known and the WIFM.